Western Monarch Milkweed Mapper | This project is part of a collaborative effort to map and better understand monarch butterflies and their host plants across the Western U.S. Data compiled through this project will improve our understanding of the distribution and phenology of monarchs and milkweeds, identify important breeding areas, and help us better understand monarch conservation needs. 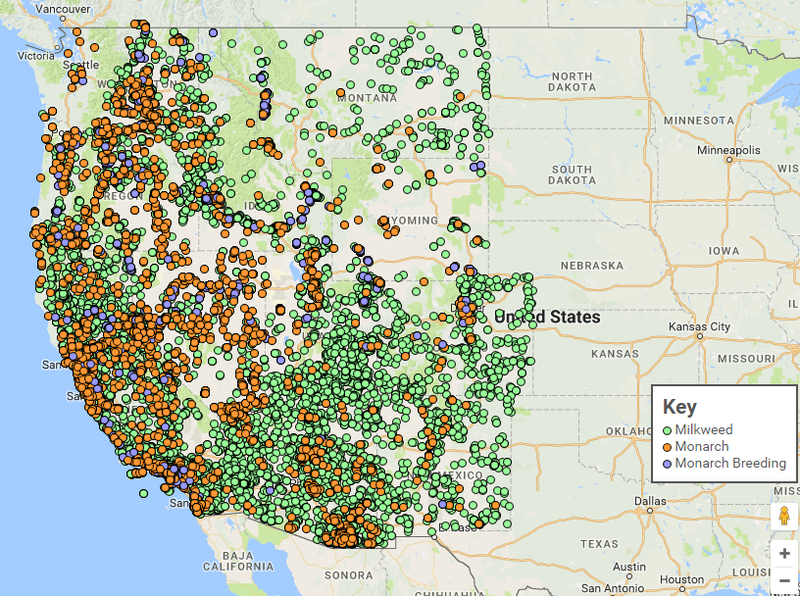 Welcome to Western Monarch Milkweed Mapper! Where are monarchs breeding in the western U.S.? 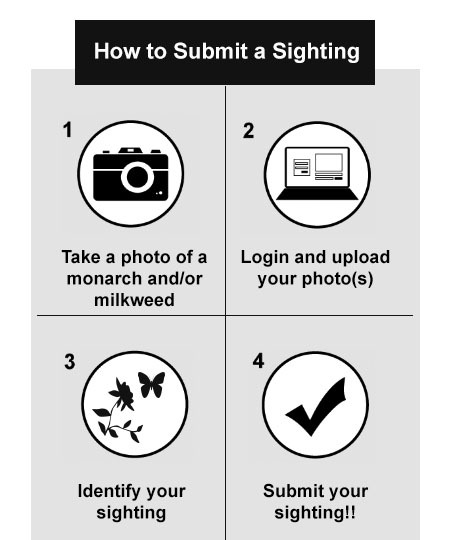 Contribute to monarch conservation efforts in the west by submitting your photos of western monarchs and milkweeds. Relatively little is known about where milkweeds occur in this region or what areas are important monarch breeding grounds, so we need your help!